Thank you for your interest in NFR license for StarWind Virtual SAN. We highly value professionals in virtualization sphere and try to support them in their efforts. 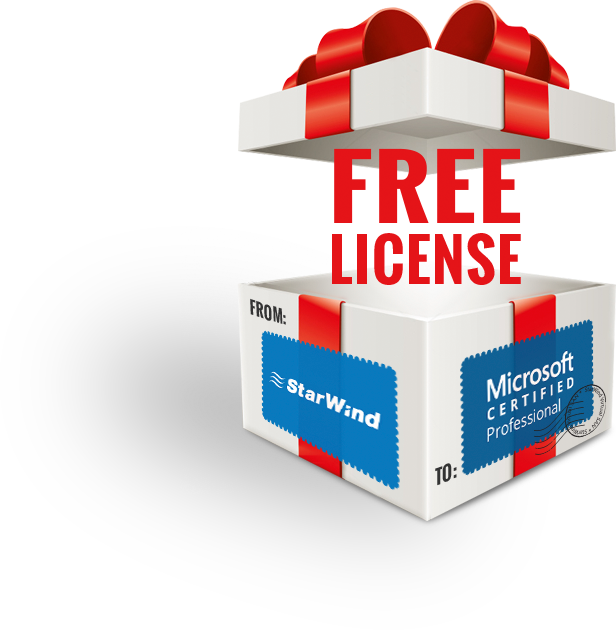 StarWind offers a special free license that contains all the features of StarWind Virtual SAN and is available to Microsoft Certified Professionals. StarWind helps MCPs to cut down virtualization expenses by offering them a free StarWind Virtual VSAN Enterprise edition license. It is a full-fledged hyperconverged version with all features enabled: fault-tolerance and high availability, scale-up and scale-out, asynchronous replication, snapshots, etc. The license comes with a one-year timebomb (resubscription is required) and can be used for personal non-production, consulting and training purposes. License transfer to any third party, including the user’s company, is strictly prohibited. The users can apply for a license key to use StarWind VSAN for Hyper-V or for vSphere. StarWind Virtual SAN for Hyper-V installs as a Windows-native application directly in the Hyper-V parent partition and integrates with Windows Server management and security tools. StarWind Virtual SAN for vSphere is a ready-to-go Linux VM that installs on the cluster nodes and creates a fault-tolerant storage pool available to the entire vSphere cluster. Both VSAN for vSphere and for Hyper-V users get unrestricted features, storage capacity, and outstanding cost-efficiency.